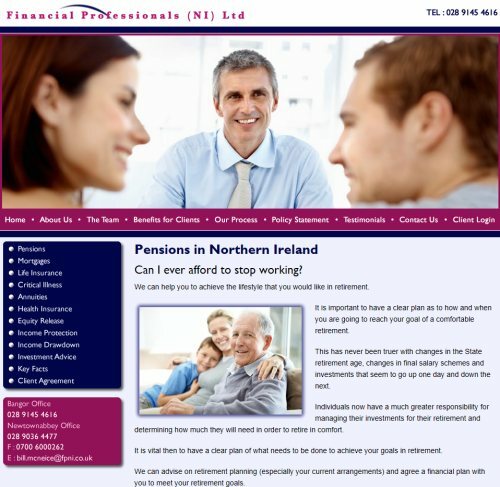 Launched today, the new website for Financial Professionals (NI) Ltd has got loads of information on a huge range of different financial products from pensions to mortgages, life insurance to critical illness and equity release schemes. The website allows customers to quickly and easily send a message to the company requesting more information on any of the different services. A Client Login area allows customers of Financial Professionals (NI) Ltd to log into a secure interface to view and manage their products.